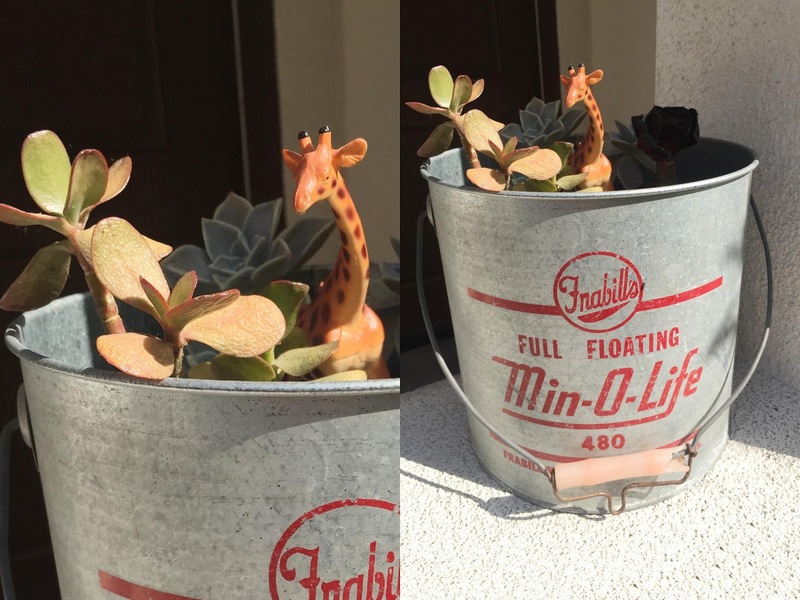 animal toy plant decor design flea market finds garden gardening giraffe industrial metal planter min o life rustic succulent tiger toys in plants vintage bucket vintage planter I found an old Min-O-Life fish bait bucket at the Long Beach Flea. Loved the industrial look and simple colors. 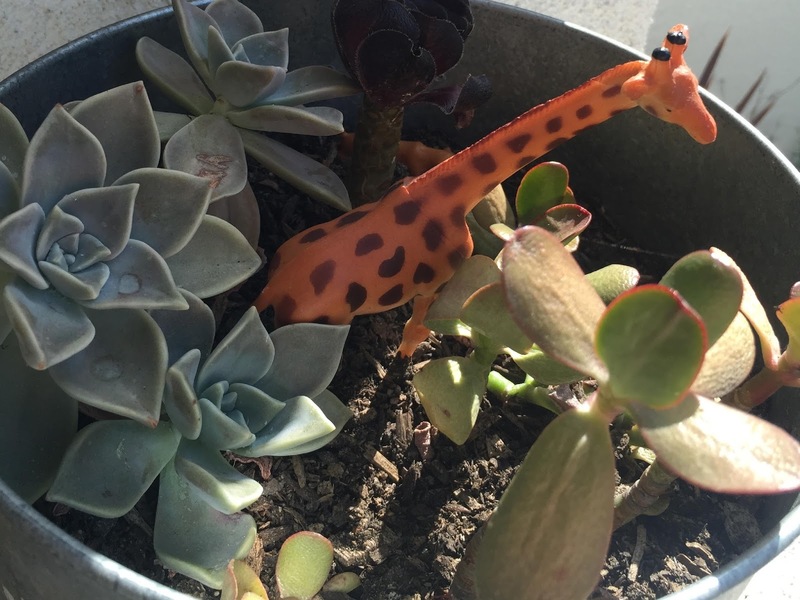 Took it home, filled it with soil and planted a variety of succulents inside, along with a giraffe and sabertooth tiger, of course. The bucket came with another filter insert with perforations in the metal. 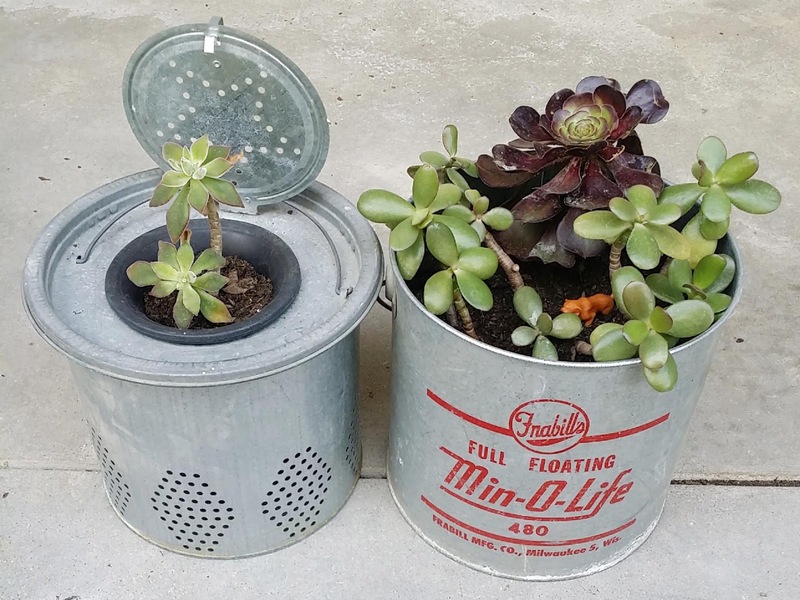 Made a very cute pair of planters for my front door banister. Voila!